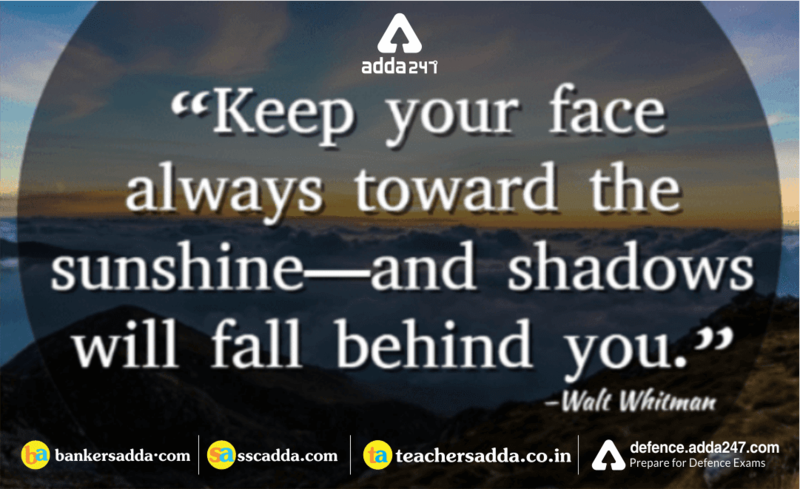 Keep your face always towards the sunshine and shadows will fall behind you. Letting your worries, fears and sorrows lead your life will cause you frustration. Change the bad habits and leave stress behind as they hold you back. They are like shadows that bring darkness. Move through the path of life with positivity, faith and cheer as your guides. Learn to focus on the positive aspects of life like spending time with family and friends, following your passions and whatever makes you happy. Turn your face towards them and you will see the shadow of negativity taking a backseat.